Two of James Cook University’s top researchers have received Australia’s most prestigious science honour - fellowship of the Australian Academy of Science. The Academy today announced the election of Professors William Laurance and Helene Marsh as Fellows for their outstanding contributions to science and scientific research. Today’s announcement is also a significant honour for JCU. It’s the first time the University has won two Fellowships in the same year and doubles JCU’s presence in the Academy. A record number ofFellows have been chosen from Queensland (8), with JCU winning a quarter of the state’s Fellowships. Professor Laurance said it’s long been his dream to be elected to the Academy. Professor Marsh said she’s honoured and humbled by the announcement. “I hope that Bill’s and my election to the Academy will raise the profile of research on the wicked problems associated with conserving tropical biodiversity,” Professor Marsh said. 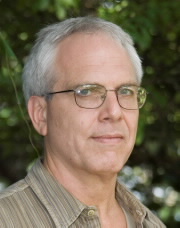 Professor Laurance is a world-leading ecologist and expert on the conservation of tropical forests and their biodiversity. His research spans the tropical world, from Australia to the Amazon, Africa and Asia-Pacific region. He has made a remarkable array of important scientific findings concerning the impacts of habitat fragmentation, logging, fires, climate change and exotic pathogens on tropical ecosystems, while working very actively to educate the general public and promote conservation policies. The author of eight books and over 400 scientific and popular articles, Prof Laurance is one of the most active and influential environmental biologists working in the tropics today. 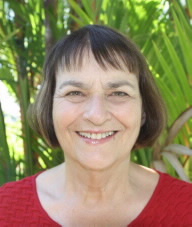 Professor Marsh is the world’s premier authority on the ecology and conservation biology of dugongs. She is internationally recognised for her extensive research on their life history, reproductive ecology, population dynamics, diet, distribution, abundance and movements. Prof Marsh’s research on dugongs and other marine megafauna has been instrumental in advancing the scientific understanding and management of coastal marine mammals in the global topics. Her approach integrates studies of the ecology of species of conservation concern with a broader evaluation of the linkages between threatened species and the welfare of human societies, particularly in developing countries and among remote Indigenous Australian communities. 21 new fellows elected for significant contributions to science. This year the Academy has elected a record number of Fellows from Queensland. There are eight new Fellows from the state, taking the total number of Queensland Fellows to 42. There is a rigorous and lengthy process to elect Fellows of the Academy of Science. Fellows are chosen because they are found to be eminent for their scientific attainments and research in natural science, which has advanced the sum of knowledge. Fellows will be admitted during a formal ceremony in Canberra today (Monday 25 May), during which they will sign the Academy’s Charter Book (alongside names such as Douglas Mawson, Mark Oliphant, Elizabeth Blackwell, Frank Fenner, Suzanne Cory, and Brian Schmidt). Fellows will make presentations of their work at ‘Science at the Shine Dome’ on Tuesday 26 May. Interviews are available with JCU’s Fellows.